Place the sliced baguette on a baking sheet. Bake for about 5 to 10mn or until toasted and golden at 350F. Let the bread cool down for about half hour. Spread about 1 tablespoon of cream cheese on one side of bread each slice. Top it with a layer of 1 tbsp. of raspberry jam or preserve. 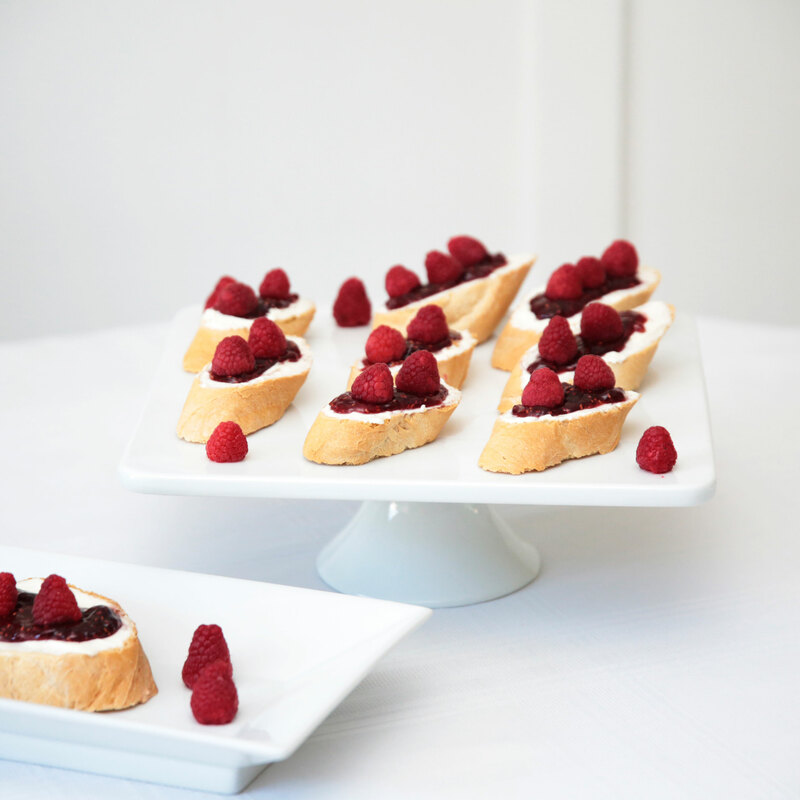 Decorate with fresh Driscoll's raspberry. Tip: Do not wait too long to serve or the cream cheese will dry up and crack up.